As my polish hoard, uh, collection, has grown I’ve been wanting to add a special feature so I can dish about polish outside of just what arrives in my subscription boxes. I’m kicking off my new Polished! 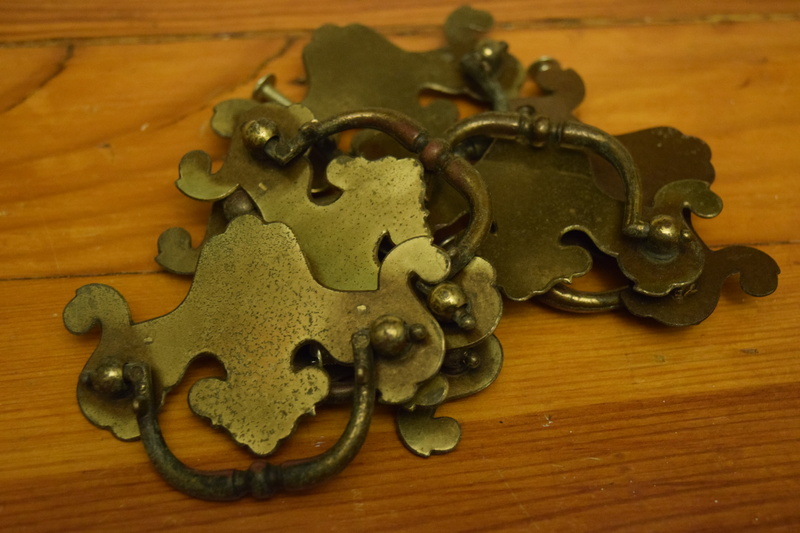 feature with a topic that pervades every forum and group with serious polish collectors. Storage. 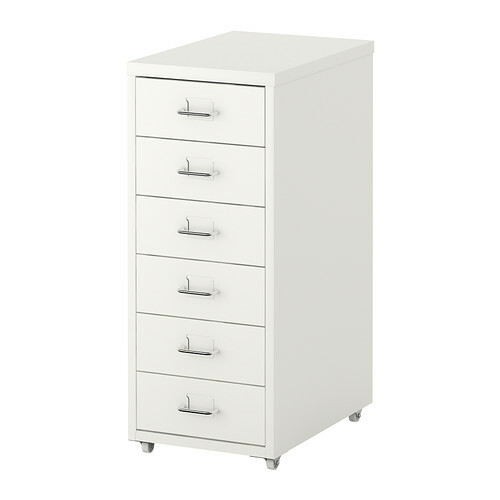 One of the most common storage solutions for expanding polish collections is the Ikea Helmer. Priced at a modest $39.99 it can house hundreds of bottles of your favorite hues in an itty bitty living space. With my collection currently clocking in at 365 bottles, this little guy would give me a spot for all my bottles, with room to add on to my collection. 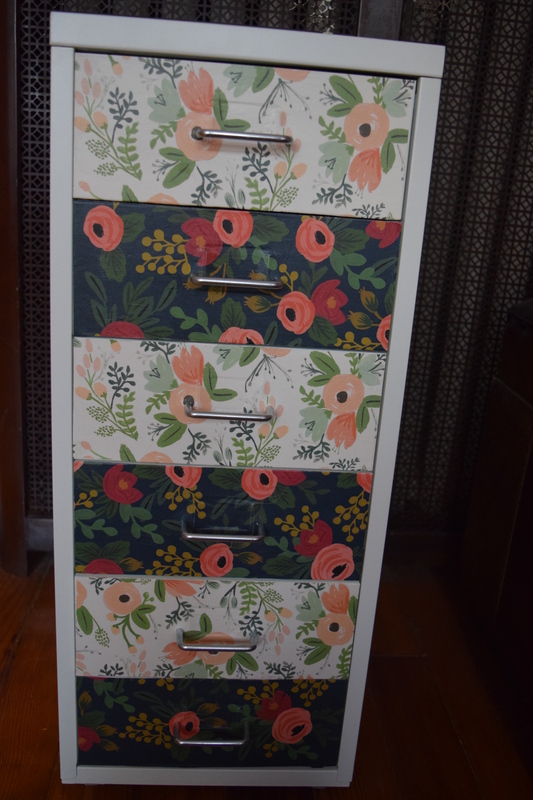 Unfortunately, the Helmer looks like an office filing cabinet rather than a piece of cute furniture, so I decided to give it a transformation by decoupaging the drawers and replacing the handles. I’m creative and crafty but not the best with precision so I was crossing my fingers that the end result would be decent. Hard Coat Mod Podge: After extensive research on the elventybillion types of ModPodge, I opted for the HardCoat. It’s perfect since it’s designed to be used for furniture and doesn’t require a sealant. Exacto Knife & Scissors: I recommend an exacto knife for precision. 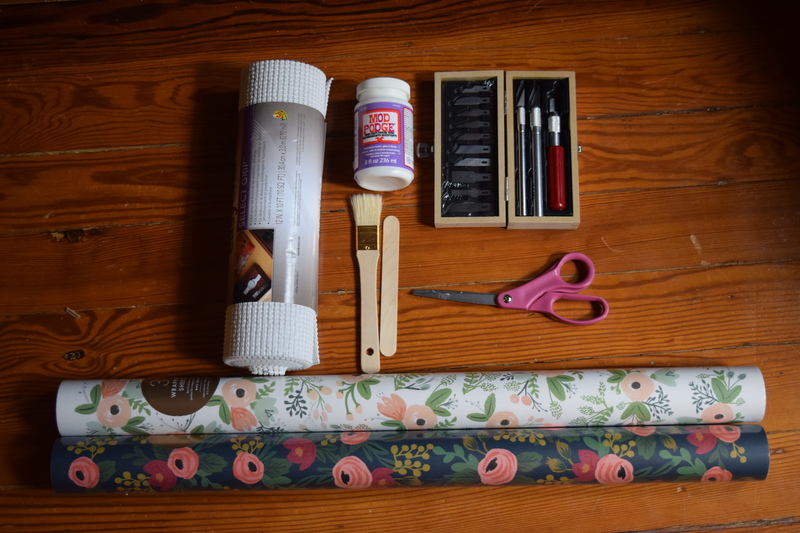 Paper: I went a bit spendy with my paper choice because I love the Rifle Paper Co. 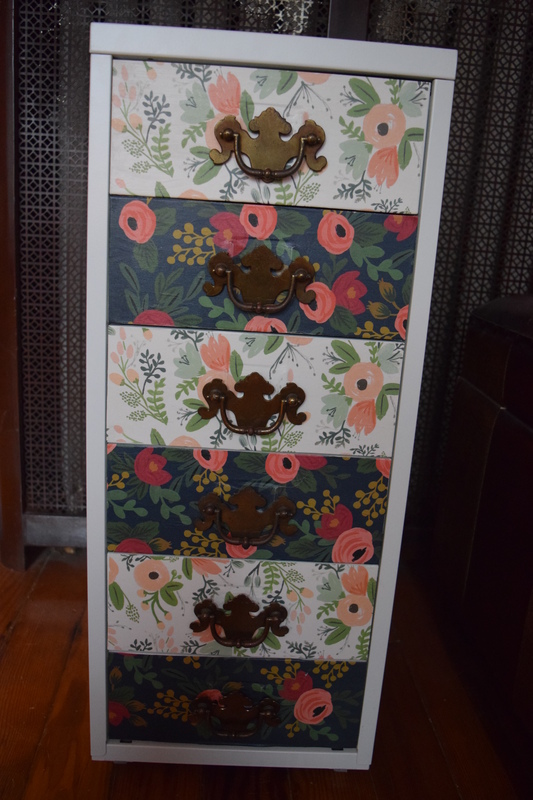 I opted to use their gift wrap in two different prints and alternate them on the drawer fronts. 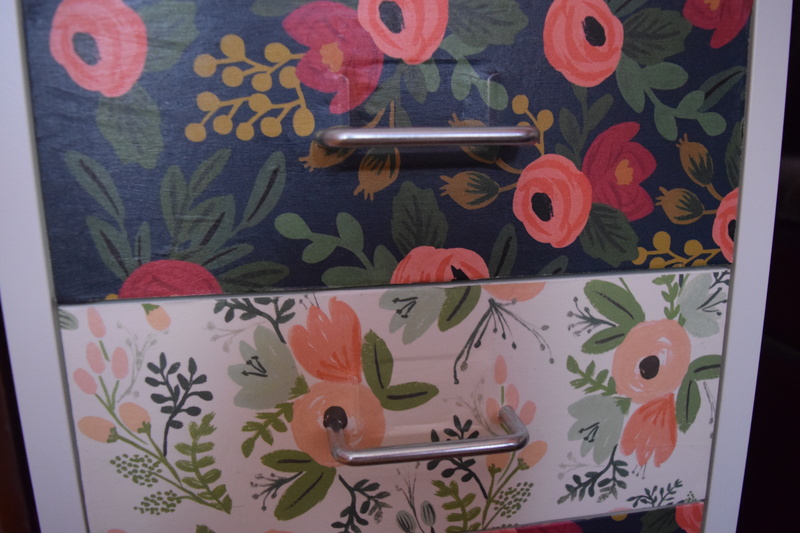 If you want to cover all the drawers with the same print, just be ready to spend a lot of time lining up the patterns correctly. Rubberized Shelf Liner: You want to line the drawers with rubberized shelf liner otherwise the bottles are going to move around when you open and close the drawers. The cabinet has slots for putting in labels. I had hoped they were an extra piece I could pry off, but unfortunately they are molded into the metal so I had to work around them. I also knew I wanted to switch out the handles that came with the Helmer, but I couldn’t get an adequate fix on the size until I had the cabinet in hand. Unfortunately, the handles are smaller than average (approx. 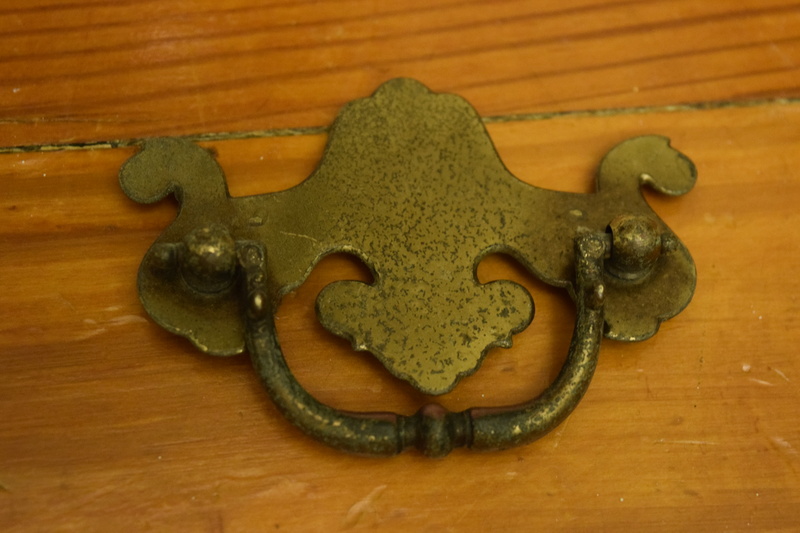 2 1/2 inches), and I needed either 6 matching handles, 2 sets of 3 matching handles, or 6 coordinating handles. Adding to the challenge, I really wanted something in a vintage brass since I thought that would match well with the style of the Rifle paper. I came across these on Ebay and grabbed them for $14.88 including shipping. I was hoping the backplate would cover up the label slots, but unfortunately they were a bit small for the task. With some cursing and much annoyance, I constructed the cabinet with the exception of the drawers. It’s important to note that the cabinet has some weird tabs that you just “push” down rather than using actual screws. It tells you to use a screwdriver to push down the tabs. If I need a screwdriver, why not just use a damn screw? I’d feel a lot better if the thing was held together with actual metal screws instead of just a tiny piece of bent metal and some faith, but I digress. Using the exacto knife, I cut out paper the same size as the drawer fronts. I applied a layer of Modpodge to the drawer fronts, carefully aligned the paper on top, then another layer of Modpodge. I used the tongue depressor to smooth out any bumps. I let that layer dry and then added an additional layer, focusing on the edges. Since you’ve now covered up the holes for the handles, you’ll just need to carefully poke the holes for the screws. While the drawer fronts dried, I cut the rubberized shelf paper to size. Then, I completed the drawers. I was still waiting on my handles, so I went ahead and finished the cabinet using the original handles in the box and added my plethora of polish. Once my new/old handles arrived I replaced them. I used the same handle screws that came with the Helmer, but I plan to add some washers or pick up some slightly different screws so the handles are a bit tighter. They are serviceable but it would be better if they were snugger. I opted for expensive paper in two different prints so if you use cheaper paper, or just one print, your cost will be lower. In addition, you could always skip adding your own handles as another way to get the cost down. The Helmer is perfectly sized to hold polish, but not taller items like Nail Polish remover. 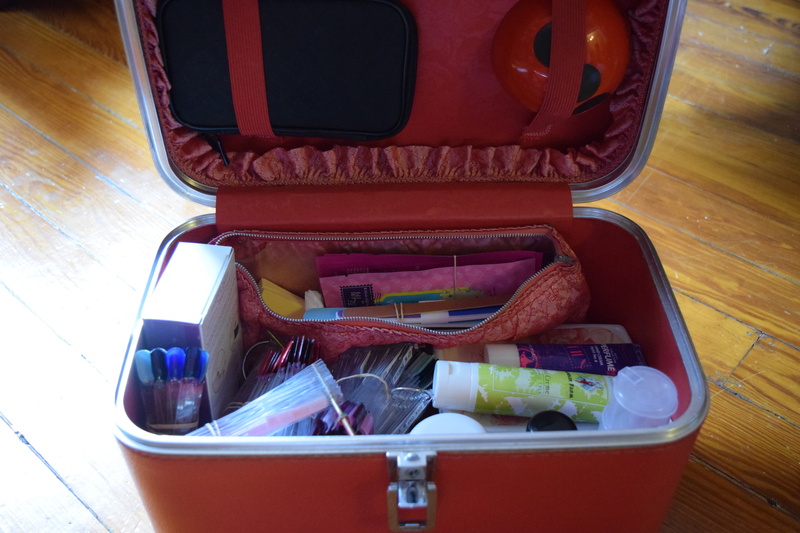 I have a vintage train case that I use to hold my swatch sticks, tools and taller items. So just be aware you’ll probably need to make room elsewhere for other polish related paraphernalia. The cabinet isn’t the sturdiest thing in the world, and I was super concerned when putting it together, but now that it’s all in one piece it’s much stronger than I thought it would be and better than I expected at this price point. I’d like handles that can do a better job of covering the bump (see below) where the label would be inserted. I’m going to keep my eyes open and see if anything pops up on Ebay or Etsy. I’d love to hear your opinions on my IKEA hack and whether you’d like to see more DIY or polish posts! decoupage Rifle Paper Co., DIY polish storage, DIY storage, Ikea decoupage Helmer, Ikea Hack, Ikea Helmer Hack, nail polish storage, polish collection, Polish Collections, Polish Storage, Polish Storage Helmer, Polished!, Rifle Paper Co. Girl, this looks GREAT!! I always wish I had to ability to do some IKEA hacking. I have the time, I just don’t have the space! My apartment would go from clean to messy in seconds! 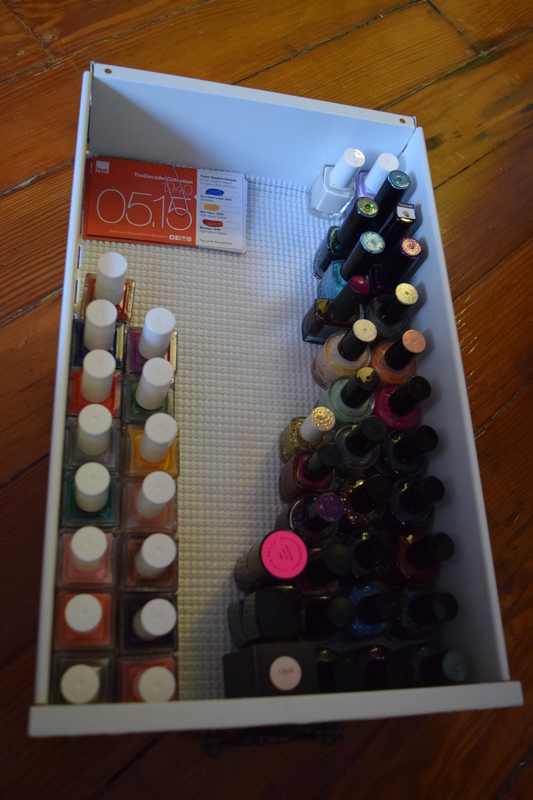 I have my nail polish stored in a wall rack that fits just over 100 bottles. It keeps me from buying any more until I give my collection a clear out! Thanks! I’m not sure the pictures show it, but this cabinet is really tiny. Like the drawer height is the exact size for polish. I have a small apartment so I couldn’t do anything too big. 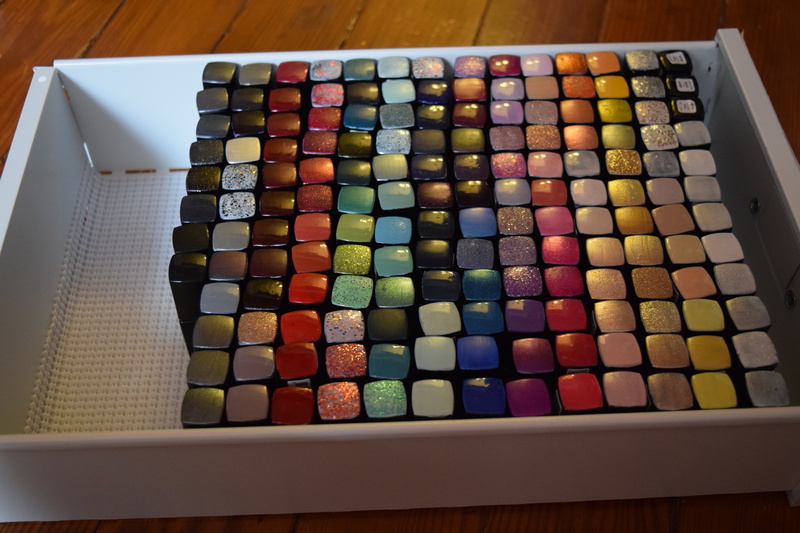 I’m limiting myself to whatever fits in the Helmer, so if I get too many polishes, I either stop accumulating or give some away to friends. Aww this looks so cute! I love seeing how different people decorate their Ikea makeup storage drawers. The rubberized shelf liners sound like a good idea! I don’t know if that’s something I would have even considered! Thanks! 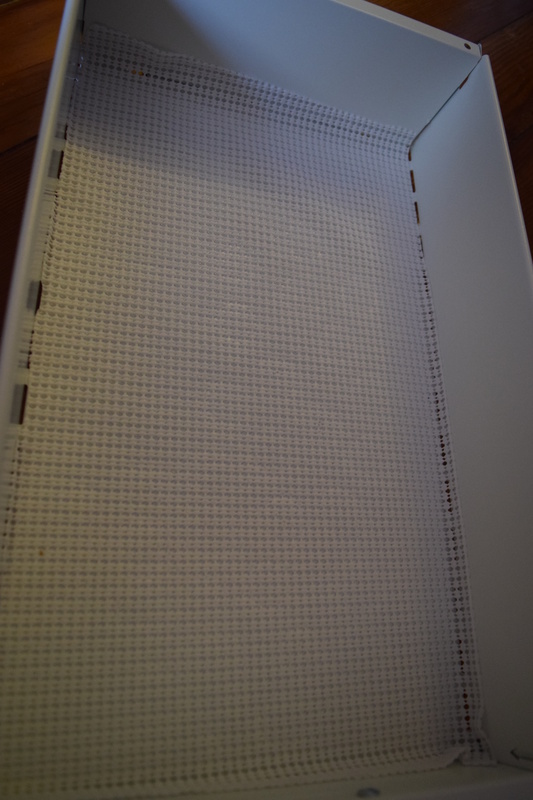 The rubberized liner is really helpful for any kind of drawer where you have items that tend to move around. Great for other makeup too! Thanks! They have a really pretty red and a bright green so you could always just opt for a fun color and maybe change out the handles if you want to personalize it. Honestly, I had an easier type with the decoupage than putting the stupid thing together, but if I can manage I think anyone can. These will work great for makeup storage. They are perfectly sized for beauty storage – small but with just the right height and space for the products. They’d also work well for jewelry and accessories. This is so beautiful! Those Rifle Paper Co are some of my favorite papers! I go nuts when I find a store that carries their products. So I’m loving that you put them on this cabinet. It looks so much more personalized! Great idea and I’m thinking this might be something I need to pick up because my nail polish is getting a bit ridiculous! I swear it’s like the nail polish multiplies when you’re not looking. It’s actually a very small cabinet even though it fits a ton of polish. Personally I think it’s one of the best type of polish/beauty storage for people short on space in their homes. This looks so great! I absolutely love your choice of paper. Thanks! I don’t have the patience to line up the same print perfectly so I knew I had to go with alternating patterns. I was worried they’d look weird, but I think it worked out. Adorable! I would love to make one of these! It seems so easy, but is not always something you think about doing. Great post! The decoupage part is super easy. I found putting together the cabinet a bit more challenging, but if I can do it I’m sure you can too! This is the BEST idea! 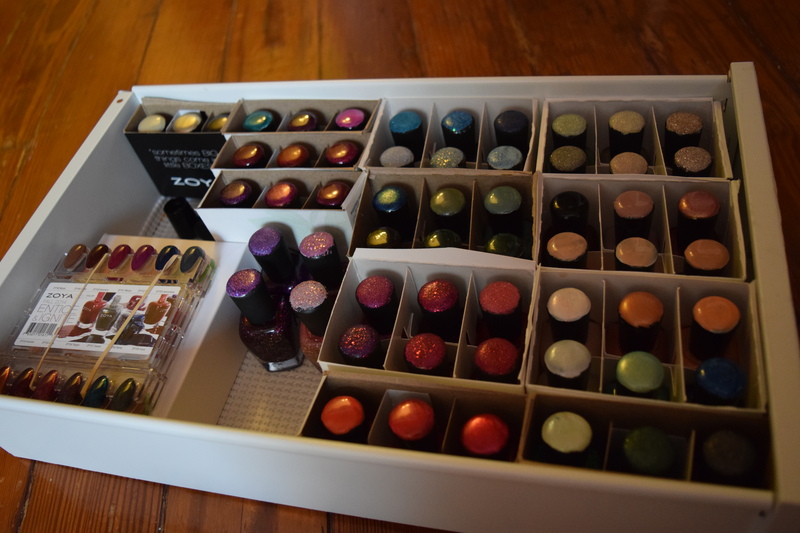 I need to do this, I’m seriously lacking makeup and nailpolish storage! Thanks! If you try it out, I’d love to hear how it goes (and see pics).